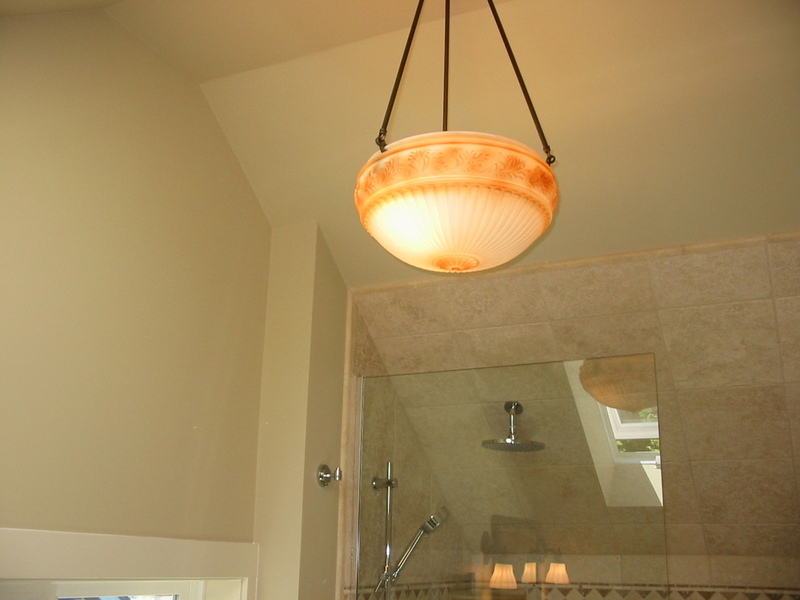 A couple approached me to completely renovate the master bath in their 100-year old house. Needless to say, the floor was badly out-of-level, there was some moisture damage and rot in the wall behind the old tub and the space felt cramped. 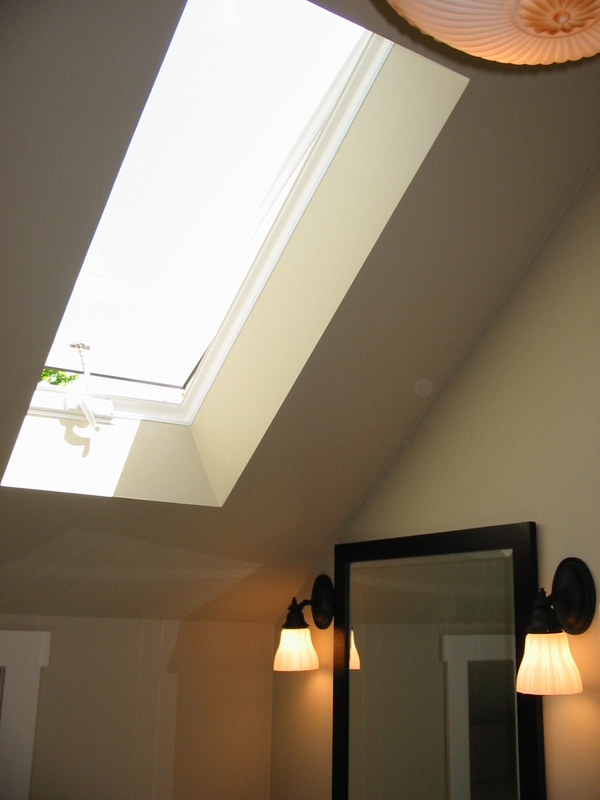 To make the bathroom feel more spacious, I demolished the low ceiling and created a cathedral ceiling with an opening skylight and pushed out one wall to create a built-in storage unit. 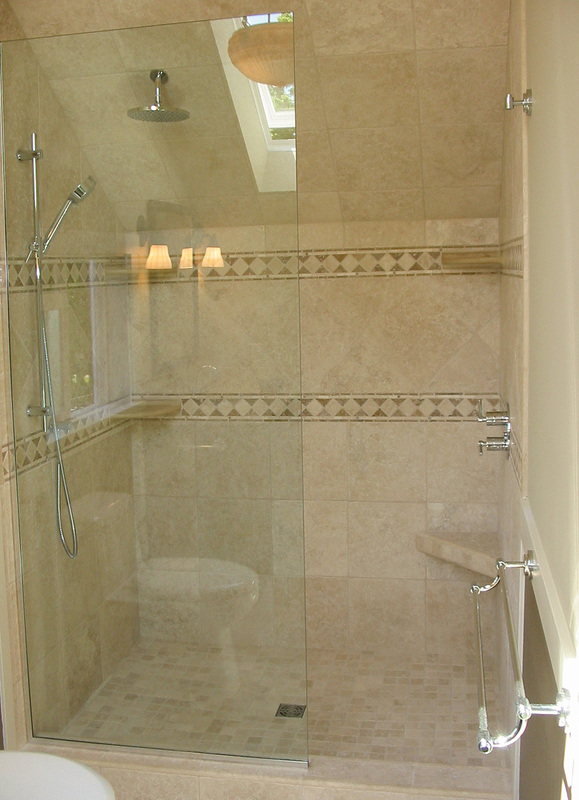 The tub was replaced with a custom walk-in travertine shower, worthy of a spa.